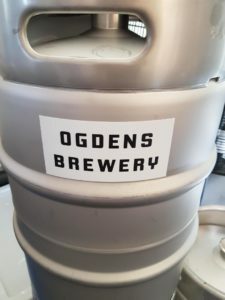 The brainchild of WA hospitality stalwart Geoffrey Ogden, Ogdens Brewery is a spanking new microbrewery, located in the luxurious beer garden, at the rear of the iconic Windsor Hotel in South Perth. In the first of an ongoing series of industry insider interviews, we managed to snag a few moments with Ogdens Head Brewer Damien Bussemaker to chat about the latest chapter in his brewing career. First things first – when is the official opening/launch? There is a ‘soft opening’ for members of our royal family (VIP members and guests) on Wednesday Feb 6th. I am predicting beers will be on tap shortly after this. The brewery is within the beer garden, so we have been answering questions from punters and also showing the regulars around the brewery. 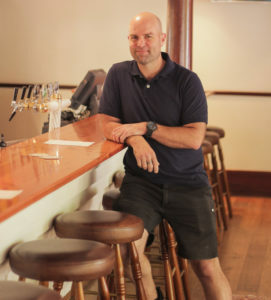 Having previously worked as Head Brewer at Elmars in the Valley, and Mash Brewing, what prompted the move to Ogdens? 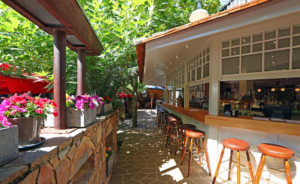 Opportunity to work on new equipment, working at an iconic WA pub in the beautiful locale of South Perth. 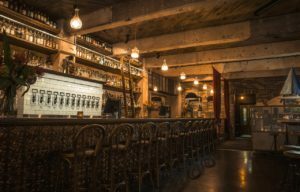 New beers, new recipes and access to great bars and draught systems. 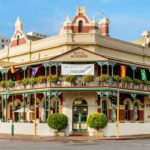 Geoff Ogden has a long history in the Perth hospitality industry. How did you first meet him? I was approached by Geoff who at that stage was only thinking about installing a brewery. From the pictures I’ve seen, it looks like you’ll be running a 5-10 hectolitre set-up? Can you tell us a bit about the fit-out and the capacity? 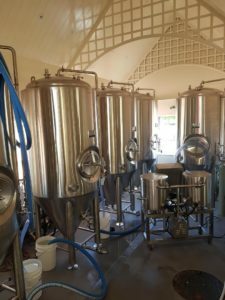 The fit-out was installed and commissioned by Flying Foam (a locally based engineering firm with brewery and pub expertise). As I was employed early in the piece I was able to don the tool belt and work as a T/A for the builders right through the construction phase. Once the gear arrived it was all systems go and myself and the Flying Foam crew went to work. Maximum capacity for one brewer (redlining) would be around 150,000L per year brewing 6hL at a time. Mostly I double brew into one 1,300L unitank. Once production is in full swing, I imagine 2,000-2,200 litres per week will be more than enough for onsite sales. I believe you’ll be launching with 4 x core styles. Can you tell us a bit more about them, and what we can expect? The four core beers we will be launching with are Lager (Pilsener style), Altbier (Ogdens Draught), Session Ale (3.7 to 4% hoppy ale) and an American Pale Ale. These are subject to change dependent on demand. The Lager will be a classic German Lager, not as bitter as a Pilsner, but more bitter and more body than a Helles. Super approachable and perfect for the beer garden. The Altbier is a slightly bitter German Ale, bready malty and some hop flavour will be prominent in this beer. The Session Ale is a lower ABV ale, with a smidge of dry hop using classic US hops. The APA will be a version of the American Pale Ale judiciously dry hopped with old school C hops, and maybe a new variety or two thrown in there. What are your short-to-mid term plans for the brewery? Will you be distributing outside the hotel? There are no current plans to distribute offsite. In the future we are looking at selling Growlers or cans in our bottle shop that is located behind the brewery. Can we expect to see any small batch / seasonals? Absolutely! Once the core range is settled expect seasonals/specialties very often! I expect to add another four for the core range very shortly. They will initially sneak out as seasonals, and depending on their popularity stay on tap. With over 74 craft breweries in WA (and 600 nationally), what are your thoughts on craft brewery saturation? The industry has grown at a rapid rate in the last 10 years and punters are getting to experience super fresh tasty beers that are locally produced. I think that as long as overall beer sales are strong there will be plenty of room for smaller breweries to produce good quality beer. That said, a good point of sale or distribution is key. Over the last few years we’ve seen a swathe of new beer styles hitting the market (i.e. Cascadian / Black IPA, NEIPA’s, Brut, etc). What are your thoughts on these styles, and are there any trends we should be keeping an eye on (by way of upcoming styles, predictions, etc). After having a few Brut IPAs I was convinced that they were here to stay! NEIPAs love or hate them will be here for a while. Personally, I like the NEIPAs but can only drink one or two, then I’d have to switch to something else. I do love a good black IPA! 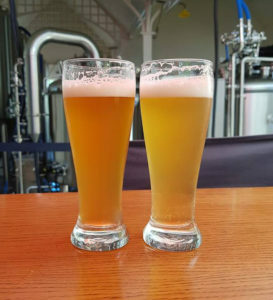 As an avid Lager brewer and consumer I would love to see the return of simple well-made Lagers, and I’m predicting that these beers will become more popular in the craft scene over the next few years. I am also secretly hoping that Schwarzbier becomes a new trend! Everyone’s a critic these days, with social platforms such as Untappd, Rate Beer and Beer Advocate all allowing anyone with an opinion, to pass comment on, praise or criticise your hard work. What are your thoughts on these platforms: good, bad or indifferent. To be honest, I have never looked at any of these apps. 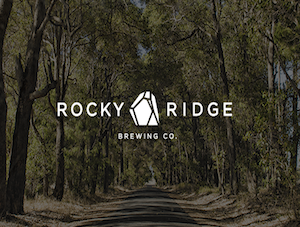 If consumers have an opinion good, bad or indifferent there are ways to contact every brewery in Aus and let them know. I have done this many times (mostly for compliments). I find it much more personal and can often end up with people coming in to breweries and samples being traded. Social media has plenty of people who like to advise from afar as well, and while it can be constructive, it can also be really funny, and sometimes just nasty. Any form of constructive criticism is always welcome. As a brewer I am always looking for ways to improve and make the best beer that I can! On a somewhat D&M note, there’s been a fair amount written recently about alcohol misuse in the brewing industry. 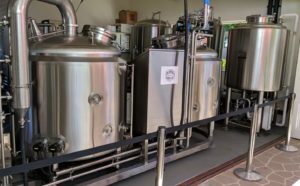 Having worked in the industry for a number of years, what are your thoughts about this, and do you think there should be more avenues of support for those who work in brewing? Yes there should be! In my opinion, there needs to be more understanding from an ownership/management level of the stresses associated with brewing. While most people see happy brewers on the socials and marketing pages spruiking their wares, there is always a 12 plus hour brew day that has gone south behind every brewer. What do you like most about brewing? b) When it gets to the punters, seeing them enjoying it is the icing on the cake. Do you have favourite beer style? No, I have a top three, in no order German Pilsener, Altbier and American Pale ale. What’s something that surprises you about the craft beer scene? The camaraderie and culture among brewers here in Perth. 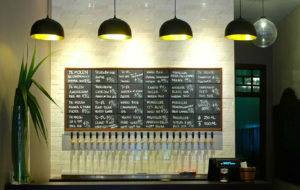 Finally to close – What was your first craft beer? Sierra Nevada Pale ale closely followed by the Weheinstephan range.